NEW YORK, April 10, 2017 – Ford sees the SUV segment growing further – accounting for more than 45 percent of the non-premium U.S. retail auto industry in the next five to seven years. Ford is well-positioned for this growth, with plans to add five all-new SUVs to its lineup in North America by 2020. Demographics are driving the anticipated trend, as more millennials and baby boomers favor the functionality and technology SUVs bring. Weird that all the camo we saw was for a very modest bumper update, but at least the mystery is cleared up now. I wouldn't really call this an MCE, no substantive updates. 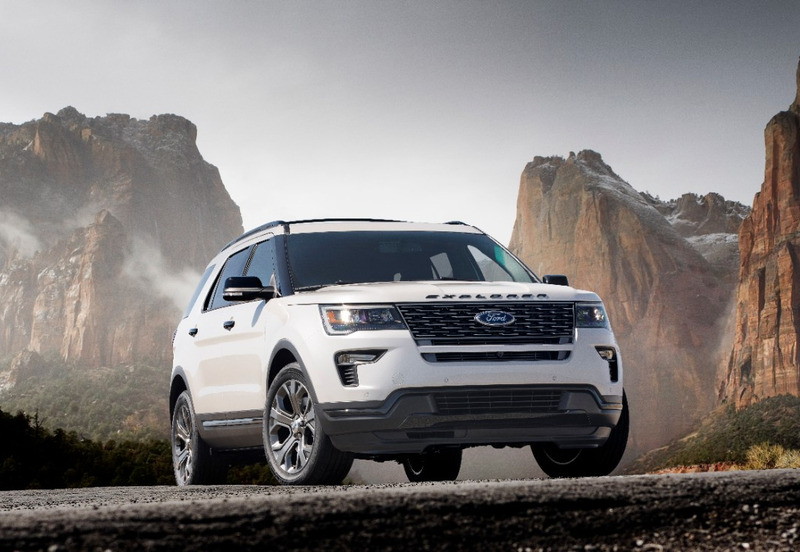 I think it's mostly an MCE extension since the segment is getting more competitive with Ford Explorer sales peaking/softening, they need to spruce up the old goose to get it to 10 years before we hopefully see something new. It's a little like what happens to the Grand Cherokee. It's always a little surprising to me that Ford's most profitable and bestselling products tend to see the longest and occasionally uncertain timelines. The update is a little unusual, it comes only 2 years after the 2016 MCE. By comparison the Explorer went from 2011 to 2015 without any revisions. It could be Ford responding to the new Chevy Traverse with something fresh for the same year. I still like the look of the Explorer better although I expect the Traverse to be a substantially more modern vehicle overall. The real issue with Explorer is interior size and platform dynamics but as long as they match amenities it should be fine. I am really surprised to see it didn't get active crash avoidance, that must be a platform limitation? Very nice head on...a really clean look. This subtle refresh is very confusing to me. The amount of changes done borders on the line of why bother and the fact that a major refresh was only a year to two ago. Have they pushed back the timeline for the all new one? The new Traverse is quite the package overall, there is no doubt. And you are right about platform limitations restricting several safety and convenience features. Explorer is getting old for sure, but manages to still be a great seller, no doubt primarily due to looks and V8 power. Chevy is still behind in those aspects. But there is no doubt new platform Explorer will address shortcomings, and then some. In total, as mentioned, Ford will have quite the lineup once they add Bronco. New Expedition easily outclasses Tahoe, and they have no direct competitor to Edge and Bronco. And here is a little tip on Bronco and it's roof. Think, 6 pack. All I'm sayin. I think another thing that contributes to Explorer sales in name recognition. It's amazing how people immediately have the Explorer come to mind when someone mentions an SUV. The name is well known and carries a lot of cache. Whereas GM's competitor to the Explorer through the years has been Blazer, Trailblazer, and now Traverse. "product space" to Edge below it? buyer trends towards better packaging of a 3-row SUV below the full sized BOF versions.